Preforeclosures are the period between the mortgage Lender's notice to the Borrowers of their default on the mortgage payments and the auction sale event that finalizes the transfer of title to the property to the Lender. The preforeclosure stage often times presents favorable buying conditions for those in the market. It's important to get all the information available on the property in order to make an informed decision on things such as a purchase offer. 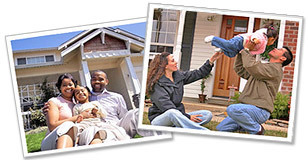 Using Preforeclosure.com brings your searches into the 21st century, saving your valuable time and effort. Even if your investing efforts are part-time, the huge on-line database allows you to access property information whenever you wish to search. check out the neighborhood and surroundings! Be the first to know of deals in your area! Both beginning real estate investors and "old pros" are searching for the best values in properties that are facing foreclosure, so the competition is fierce. Wasting time with postings and lists that are often out-of-date when they are printed may be costing you money! Preforeclosure.com offers property information updated daily. In addition to accurate property and owner information, look on the details pages for additional home buying tools and resources. glad to help you as soon as possible.